Estonians celebrated the "Happy Chinese New Year" activities and watched colorful performance in the Estonian capital on Saturday afternoon. 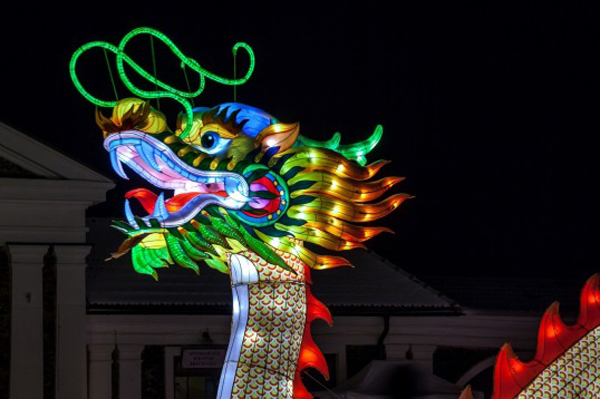 The annual event featured dragon and lion dances, Estonian acrobatic fire show, Chinese kung fu show, traditional Chinese dance, folk music, Kunqu Opera and shadow play. Speaking at the event, Tallinn mayor Taavi Aas said that it is the tenth "Happy Chinese New Year" celebration in Tallinn, which has brought Beijing closer to Tallinn, in spite of the geographical distance. He sent greetings to the Chinese people to celebrate the 70th anniversary of the founding of the People's Republic of China in 2019, which is also the year of Tallinn's 800th anniversary celebrations of its first recorded mention of the city in 1219. Chinese Ambassador to Estonia Li Chao said the "Happy Chinese New Year" performance and a lantern show are parts of the cultural exchange to bridge the hearts of the people of the two countries. The ambassador expected the friendly ties between the two peoples will continue to be enhanced, as bilateral ties developed rapidly in 2018, when Estonian President Kersti Kaljulaid visited China in September. On Friday night, the 90-year-old Estonian former president Arnold Ruutel and his wife Ingrid Ruutel, as well as Tallinn Deputy Mayor Vadim Belobrovtsev and Kalev Kallo, former chairman of the City Council of Tallinn, were among the several hundred spectators who appreciated the performance by Chinese artists. The Chinese New Year falls on Feb 5 this year.